Shudder Set to Deliver More of Joe Bob Briggs - Horror News Network - The Horror News You Need! Shudder announced today that they will deliver the gift of Joe Bob Briggs just in time for the holiday season with Thanksgiving and Christmas specials, to be titled The Dinners of Death and A Very Joe Bob Christmas. The upcoming year could potentially be even bigger for Joe Bob as there are plans to launch a regular series featuring the iconic horror host in 2019. On Friday, July 13, Shudder streamed The Last Drive-In featuring Joe Bob Briggs. The response and demand for the stream was so great that it temporarily took down Shudder’s servers. Stephen King himself even tweeted about The Last Drive-In and the hashtag trended nationally on Twitter. In 1986 Joe Bob Briggs debuted on Drive-In Theater, a late-night B-movie show on TMC. 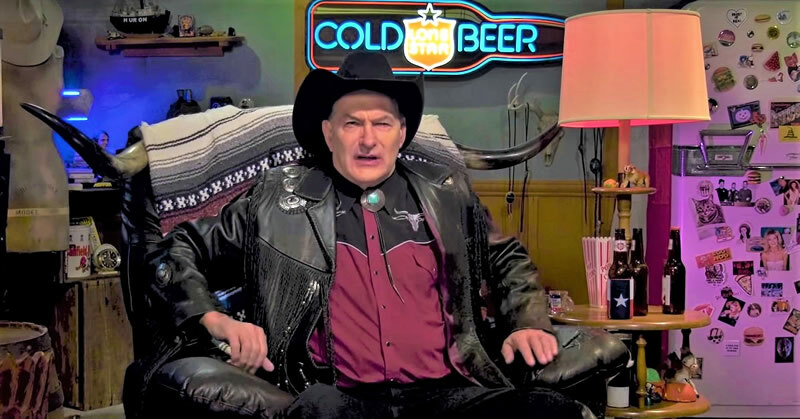 The host was so well received that he was signed to a long-term contract and the show was renamed Joe Bob’s Drive-In Theater. The show lasted all the way until early 1996. Another door quickly opened for Briggs as he hosted MonsterVision on TNT for four years. Details for the Joe Bob series have yet to be released. Keep it locked to Horror News Network for more news as it becomes available.